INDUSTRY.co.id - Jakarta - Dompet Dhuafa recorded the performance of accumulation of zakat, infaq and sadaqah in Ramadhan 1439 Hijriyah recorded Rp94, 8 billion or a significant increase from the previous year. It is said, zakat is a human obligation in ikthiar to spread goodness followed by lifestyle of Indonesian society famous with zakat or donate to others. 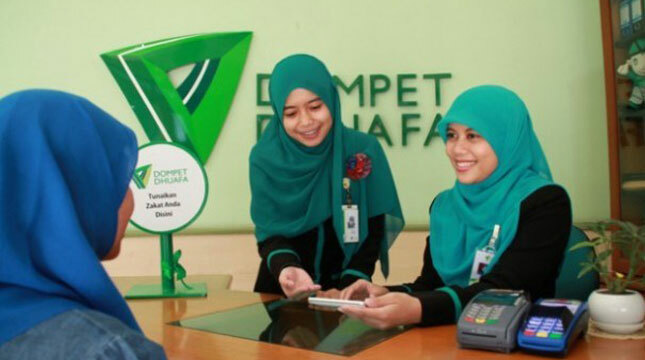 Dompet Dhuafa is committed to demonstrating a pattern of zakat management that not only provides a short, practical, and simple solution to tackling various problems in Indonesia. Moreover, every problem must be solved from the most basic. "It is hoped that the desire of the community to pay the tithe through philanthropic institutions is increasing not only during Ramadhan, but in ordinary days people have to channel it," concluded Bambang Suherman. Various programs have been initiated by Dompet Dhuafa as the attraction of the people to zakat.